If your child is one of the 1 in 10 British kids who suffer from asthma you’ll need to make sure they get proper medical attention. Asthma should always be taken seriously as it is potentially life threatening, but with the proper treatment and care, there’s no reason the asthmatic child can’t enjoy a happy, healthy and energetic childhood. Measuring lung capacity with a peak flow monitor. Your child will just need to blow into a tube to measure how much air their lungs can push out. These are usually blue. Your child will need to use them when they start to wheeze. It will help to relax the muscles around the airways, stopping the chest from feeling so tight and making it easier to breathe. These are usually brown, white, red, purple or orange. They help to prevent the airways becoming swollen and inflamed and so stop an attack from happening. It’s important that your child knows how to use their preventer inhaler properly in order to minimise the risk of an asthma attack. As well as considering medication, your family doctor will also help you look at managing your child’s asthma with lifestyle changes, such as avoiding any potential triggers, like cigarette smoke, dust mites or pollen. There are lots of ways to tackle asthma. Keeping in tip top health and avoiding as many coughs and colds as possible is a great place to start. Being in a smoke-free environment is a big benefit to the asthmatic child, so any parents who are smokers should make plans to stop and stop for good. If lifestyle changes don’t manage the situation, your family doctor will have various medication options to consider for your child, but once you get the medication home, it’s up to you to make sure they know how to use it properly and effectively. 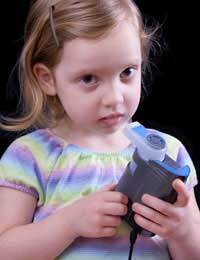 My daughter is Asthmatic from age 3 and is turning 12 in May. I cant figure out what triggers the Asthma and Ive been to more than 7 doctors doing all kinds of medical tests and its so frustrating. What Ive noticed now is that she is focusing the weather,if its cloudy then you will hear his chest doing the music(thats what we call it).